5 differences of ancient empires of Celts and Inca. 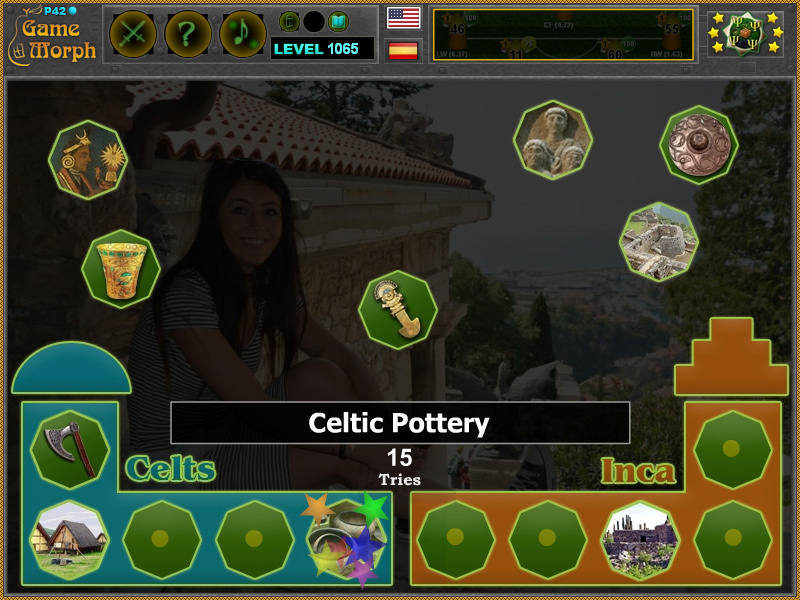 "Ancient Empires 2 Celts and Inca" is a small knowledge level game, to sort the artifacts and architecture of 2 empires and find the differences of Celtic and Inca culture. Free online game for desktop computers, laptops and tablets, which may be played in the web browser. The History Knowledge Board include 10 pictures to play with. Minute to win it game. How to play Ancient Empires 2 Celts and Inca. There are ten artifacts, architectures or objects belonging to one of two ancient empires, one to Celts and another to Incas. Drag and drop them in the empty sockets of the correct empire. Know at least 1 difference between Celts and Inca and get +1 Knowledge Level. Class subject: Differences of ancient Celts and Inca. 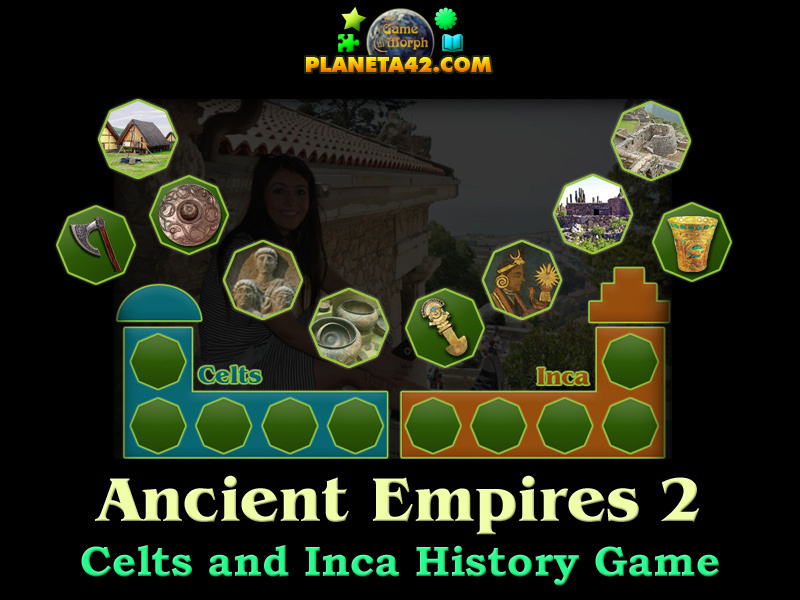 This small fun game will guide you in the proccess of dividing the items to the correct ancient empire either Celts or Inca. You are to find at least one difference of the culture, architecture, sculpuring, or crafting between those two nations. Labels: History Games , Ancient Games , Puzzle Games , Architecture Games , Education Games , Free Online Games.